The cloud has been around for quite a while now, but it still feels pretty new and foreign to most of us. When someone says your data has been stored in the cloud what does that mean? Where has your information gone? Has it disappeared entirely? Is it stored on a computer somewhere else? While you may not know exactly what it is, cloud storage affects you every day and will probably be coming to your workplace – if it hasn’t already. For those who don’t know (or are to embarrassed to ask) we’ve compiled 5 things you absolutely need to know about cloud storage services. 1. What is Cloud Storage? The cloud is a data center that takes your files and folders and stores them over the Internet, rather than on your computer’s hard drive. This allows you to access your files from anywhere, so long as you have Internet connection. It also makes sharing files and collaborating with multiple people much simpler. The key benefit, however, is that your information is stored safely and securely in an offsite location in case of any damage to your onsite computer or hardware. When you begin using the cloud, you’ll find there are multiple versions. The most popular varieties are Software as a Service (SaaS), or Infrastructure as a Service (IaaS). This can get a little confusing, especially for beginners, but the basic difference is who is looking after the servers and storage. With SaaS, an external cloud provider hosts the servers and storage, whereas with IaaS, you’re the one managing the cloud. That’s right; a lot of us store data in the cloud without realizing we’re doing it. That’s because, even though it may seem confusing, the cloud is already integrated into the computing services we use every day. 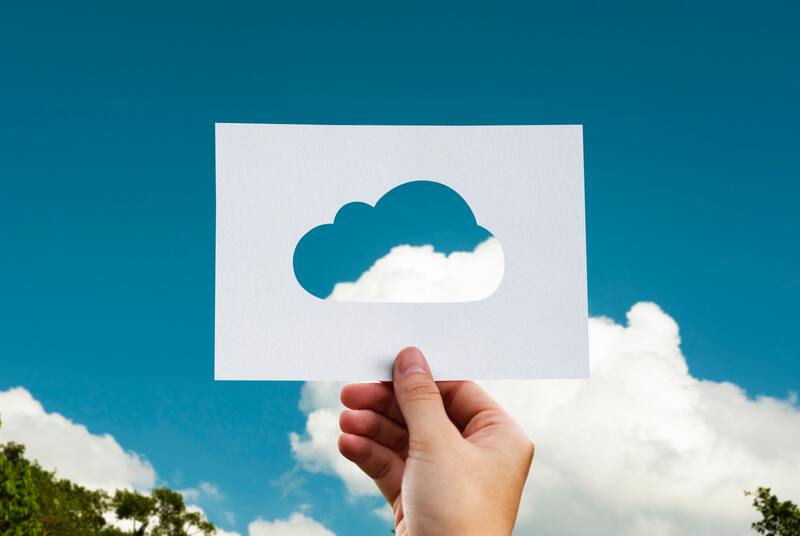 There are several good examples of cloud environments you’re probably familiar with, including Google Drive, Netflix, iCloud, Microsoft Azure, and Dropbox. This uses a mix of third party (or public) services and private cloud services combining the benefits of both methods. Employing a hybrid cloud service often results in cost savings because you have more control when you need to scale your services. It also provides you increased data storage capability so it can handle spikes in data storage. You may actually already be using a hybrid if you’re using a combination of in-house IT services and external programs. If your company is just starting out and you’ve already integrated your systems with the cloud, then your job is pretty simple. However, a lot of companies will need their information to be migrated to the cloud and managed. You either need to hire and train new employees or find a trustworthy external company or consultant to help with the transition. While this can be costly in the short term, it helps you stay at the top of your industry instead of falling behind. And that, in the long-term, will give you a competitive edge. Cloud computing resources are making a big difference in the way we do business. They provide a freedom and a security in how we store, save, and share our files. Are you ready to begin the move? At Alt Tech, we offer a range of cloud services including Email Hosting, Application Hosting, Server Hosting, and Disaster Recovery & Business Continuity Offsite Hosting. We can help you understand which cloud services will work best for your specific company, and how to use them effectively. To learn more, check out our Cloud Services or contact our team of cloud experts.